All the north-eastern states are expected to witness spells of light rain and thundershower at some places and intensifying cloud-cover in the next 24 hours, according to reports. According to a skymetweather report, a seasonal cyclonic circulation is also expected to become active in the next 24 hours due to the moving of an active western disturbance over the Tibet region. 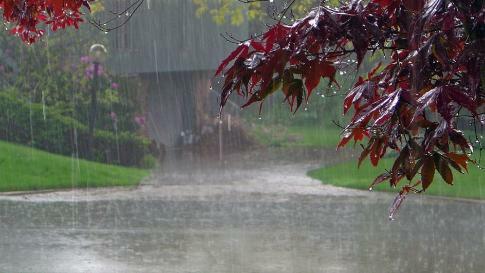 According to the report, the entire Northeast is yet again set for a rainy spell in the next few days while the states of Arunachal Pradesh and Sikkim will receive rain and snowfall. In the last 24 hours, minimum temperature recorded at Kohima was 7.4°C, Imphal recorded 7.2°C, Guwahati 16.4°C, Agartala 15.9°C, Gangtok 7.8°C, North Lakhimpur 9.7°C, Silchar 14.2°C, Tezpur 16.1°C, Cherrapunji 11.5°C and Shillong observed 9.6°C. Day and night temperatures are all set to see a change due to the ongoing weather activities in the region. Due to clouding and rainfall activity, day temperatures will witness a significant fall by three to five degree Celsius, while night temperatures will increase marginally by one to two degree Celsius, during the next 22 to 48 hours. Thereafter, the temperature pattern will see a reversal yet again.